Palmsbet is bookmaker from a Bulgarian, which was founded in 2018 year. The company is new( several months) to the market and the main purpose is to attract Bulgarian clients. Palmsbet has experience in Casino Games and the site is the new version of the eCasino.bg platform, which has been offering casino games for many years ago. Palmsbet is owned by “TELEMATIC INTERAKTIV BULGARIA”, which has many years of experience in the branch of casino games. Palmsbet can delight its future customers with a 100% initial Sport bonus. The Welcome Bonus is available to all new customers, who register at palmsbet.com and deposit in their game account for the first time. The bonus promotion is one of the largest in Bulgaria, as an amount but is separated into several parts – for first, second and third deposits. By loading the website, we can see clearly arranged menus: LIFE SPORT CASINO JACKPOT PROMOTIONS NEWS. On the right is a column for sports events from: Football, Tennis, Basketball, Volleyball, Ice Hockey, Baseball, Boxing, Electronic and more. It makes an impression that the main sports are in the visible area and when we click on any of the football matches we see a lot of betting options. Sports events are spread over hours, up to 1 hour, up to 3 hours, up to 6 hours, up to 12 hours and so on, which is a convenient option. Registration for Palmsbet’s bookmaker account is done by clicking on the Sign Up button and creating a username and password and writing your email in the first step of the registration. The procedure is fast and easy, as customers who has an account already at e Casino.bg, can log in to the site without the need for another registration. Then, by entering your username, password, and email, you will also need to enter your personal details and choose a currency to play in your account. For Bulgaria – bg leva. You will also need to select a secret question that is for your security or more specifically about the security of the game account. 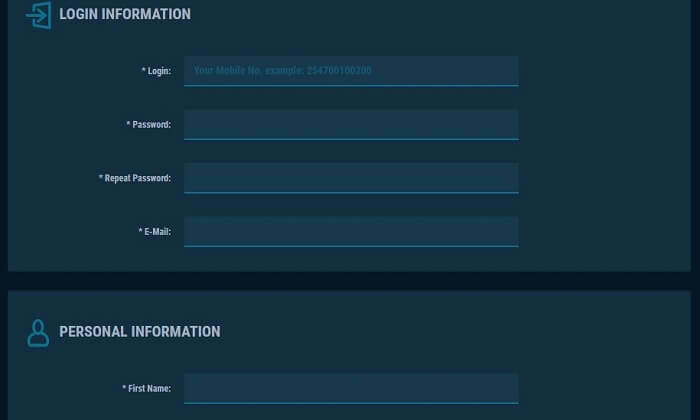 Activating your new account at Palmsbet is easiest through the email you entered when registering. After signing up, you will be eligible to participate in the Bonus Promotions for Sports and Casino. Credit and debit cards Maestro, Visa, Visa Electron, EasyPay Offices, Cashier (can only be used for depositing), Bank Transfer, Payments via epay.bg. The minimum deposit is 10 BGN and the maximum withdrawal amount for most is 5000 BGN, except by bank transfer, where it is 10,000 BGN. – 3rd Deposit: 50% Bonus up to 200 BGN Keep in mind that in order to receive the initial Bonus, you must first select one of the bonuses and make a successful deposit, then the bonus will automatically be credited to your account. Palmsbet offers many sports for bets, such as Football, Basketball, Ice Hockey, Handball, Volleyball, Baseball, Boxing, Cycling, Electronic Sports, Formula 1, Handball, Martial Arts, Table Tennis and Water Ball . The company still has something to add as sports in the future, as it is new company, but over time we expect more sports to benefit the players. Formula 1 and Futsal are also included in the sports program. The minimum bet on a Sports Column is leva 0.50. When choosing one match from the menu, we see different bet positions, with a clear font, not a small one and this facilitates the bet. The site is not filled with information, and with a few clicks you go to the desired event and let’s say one big advantage that Palmsbet is licensed to offer sports betting and casino in Bulgaria. Interesting casino games can found from casino fans of Roulette, Roulette Live, Baccarat, Table Games, Bingo Games and more. With the plus you can load many more games and in our experience we see that there are really many. Most numerous is the slot games section, which contains the majority of the casino games on the site. We also come to the bonuses and here really Palmsbet offer the biggest bonus from the licensed bookmakers in Bulgaria, it’s 750 leva, in total, divided into 3 deposit bonuses, first, second and third deposit. You can connect with Bookmaker Palmsbet at any time, with options like: live chat, which is one of the most convenient methods, phone, e-mail, and contact form. Separately, the Frequently Asked Questions section can also provide you with useful information.